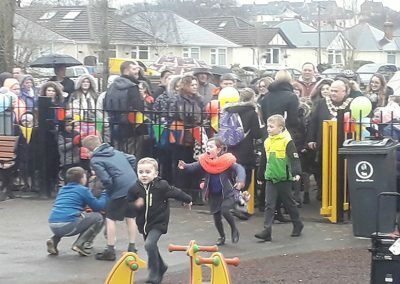 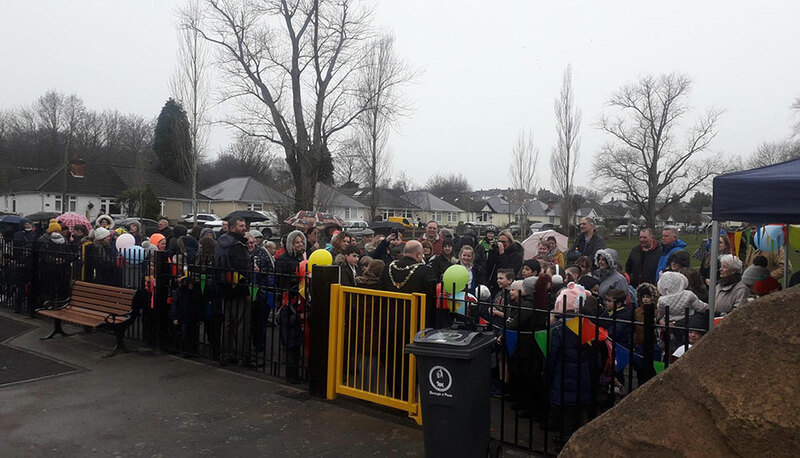 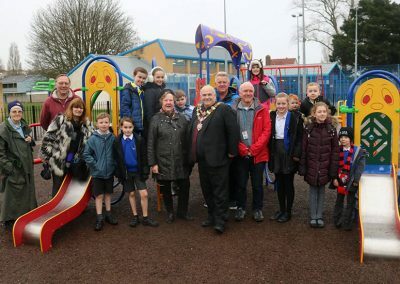 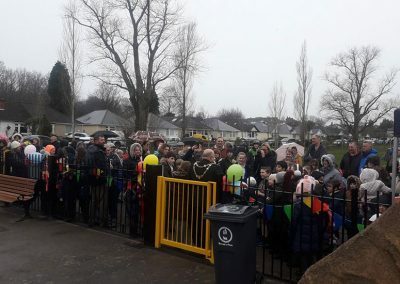 The Mayor of Poole, Cllr Sean Gabriel, officially opened the newly improved play area on Tuesday, 29th January, much to the delight of local children! 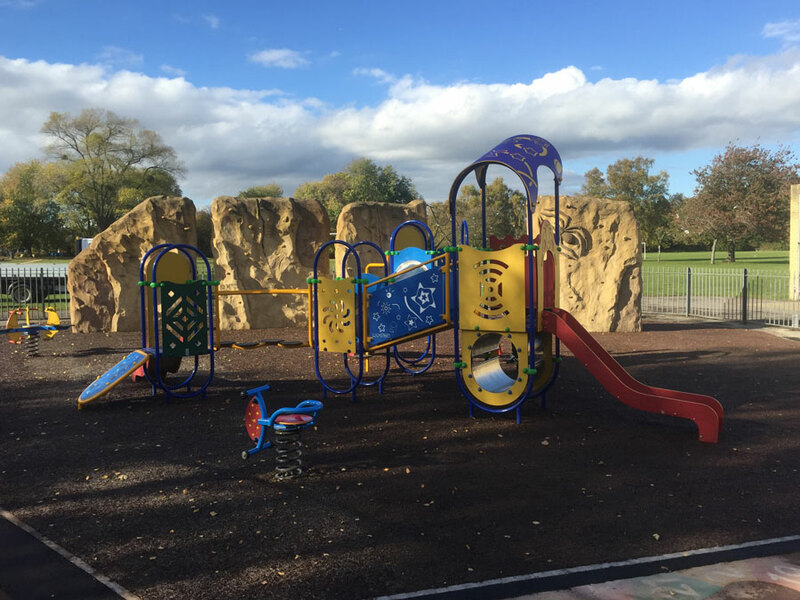 Refreshments were provided by the Branksome Centre and goodie bags by Wicksteed Playgrounds who supplied the new play equipment. 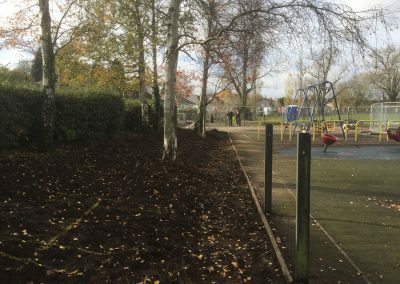 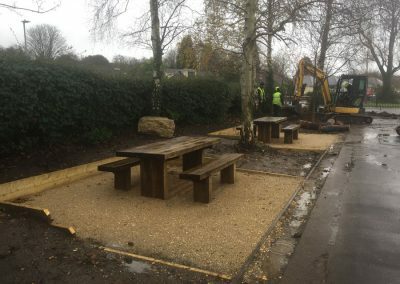 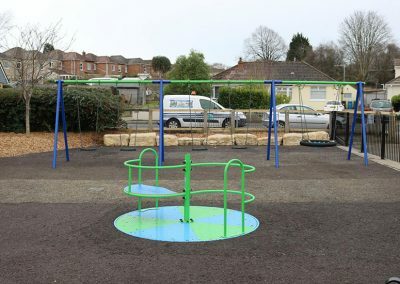 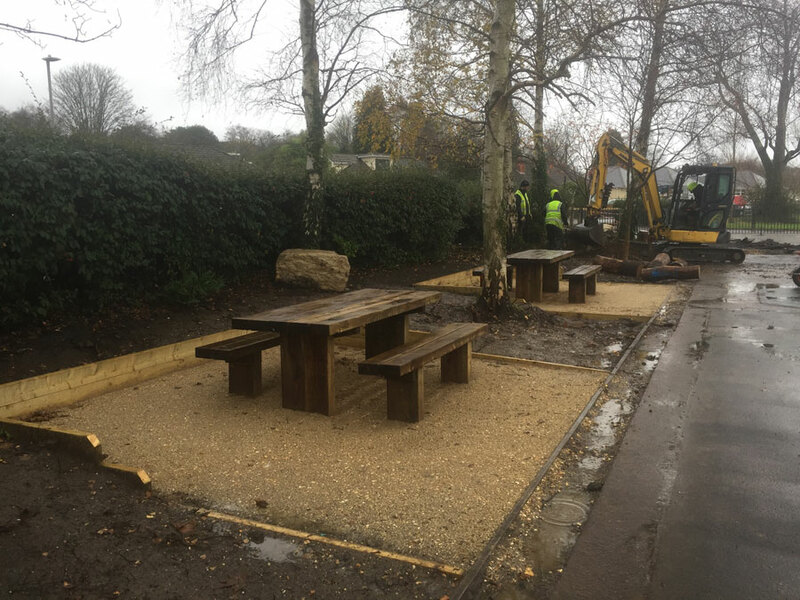 Throughout 2017 work was carried out on fundraising bids to improve Branksome Recreation Ground, involving Borough of Poole working in partnership with Poole Communities Trust at the Branksome Centre, The Friends of Branksome Rec and Branksome West Residents Association, with support from Ward Councillors, Heatherlands School and local residents. 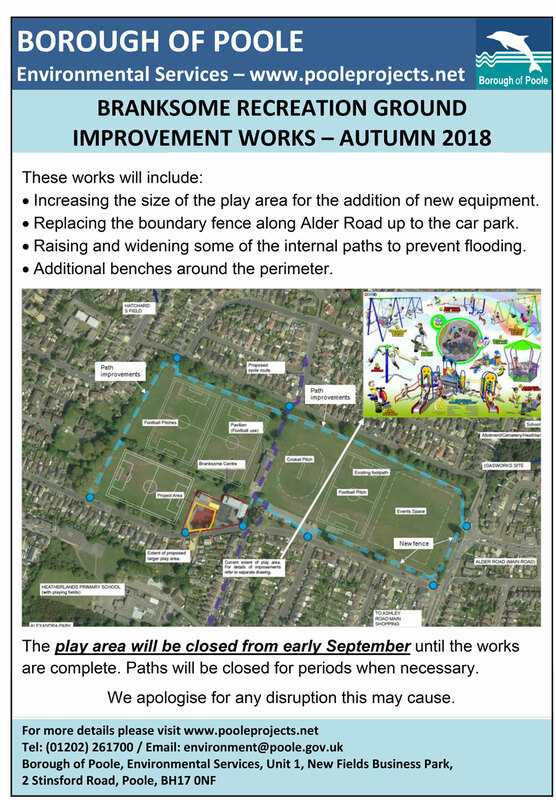 The Friends of Branksome Rec successfully applied for £95,000 from the Borough of Poole’s Community Infrastructure Levy (CIL) Neighbourhood Portion to fund long awaited improvements to paths, fencing, trees and other infrastructure. 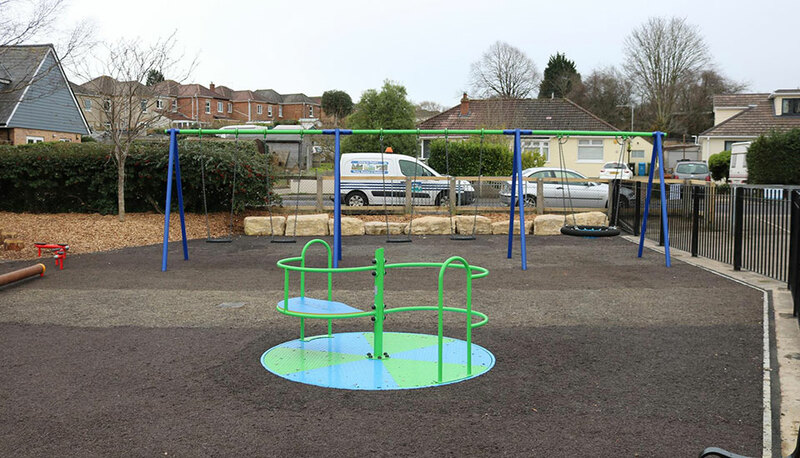 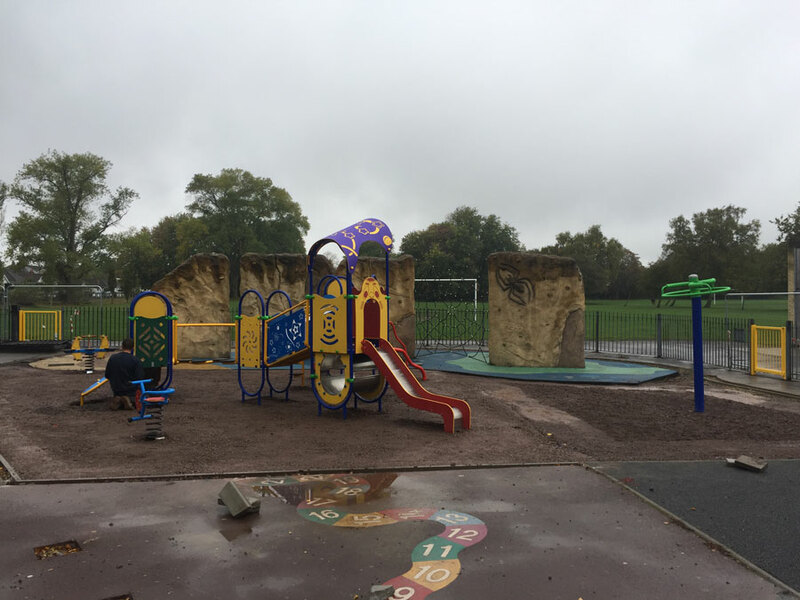 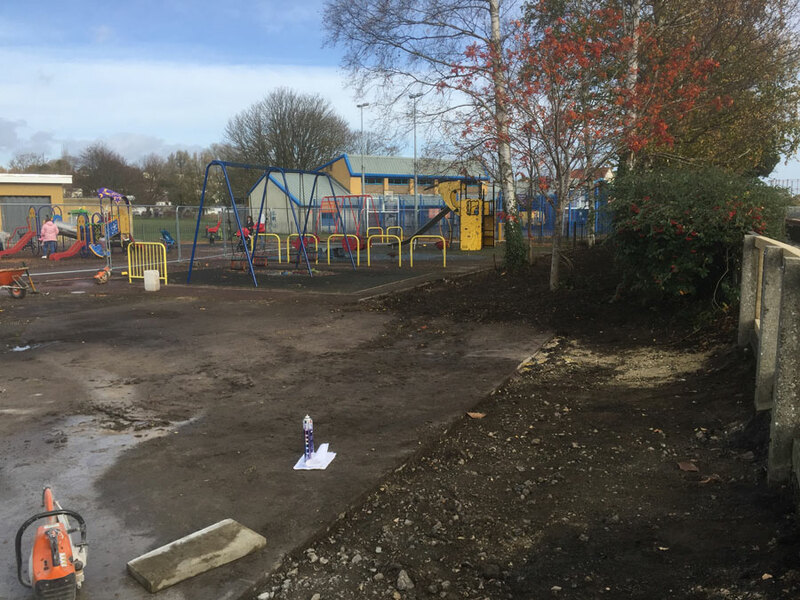 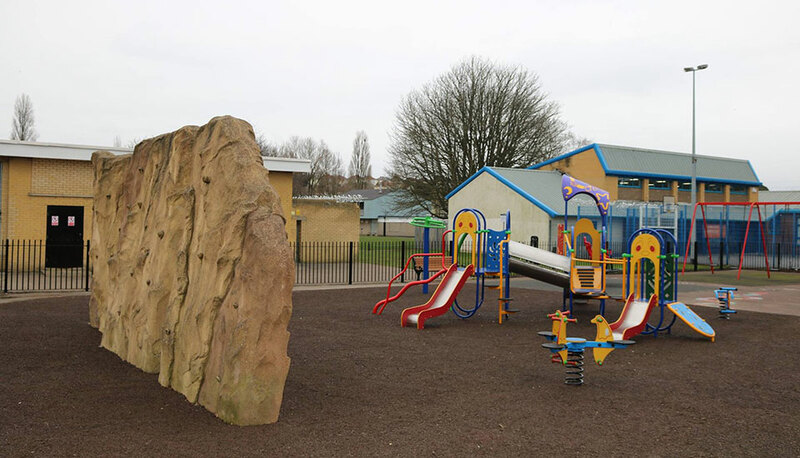 An £75,000 funding application was made to Veolia Environmental Trust, to cover substantial improvements to the play area. 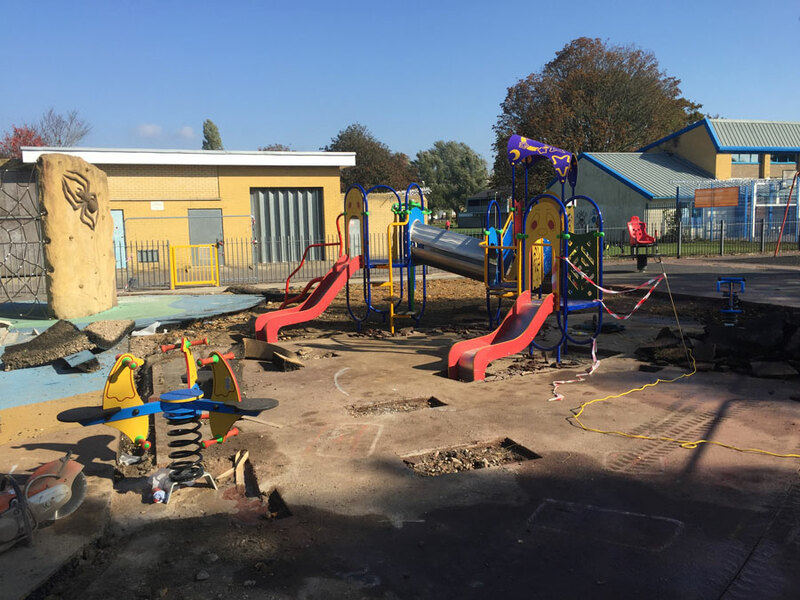 Regrettably it was unsuccessful, but we have since managed to secure a smaller amount of money in-house to help with the purchase of some play equipment & fencing. 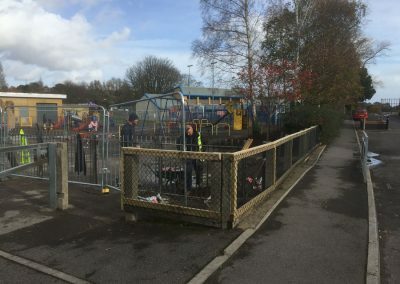 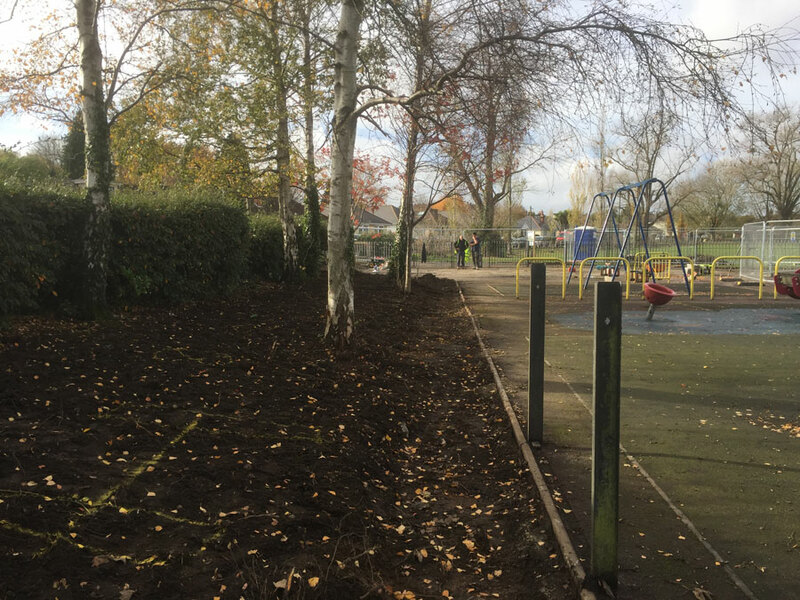 Works began on site with the removal of old fencing and continued largely uninterrupted through October and November due to fair weather conditions. 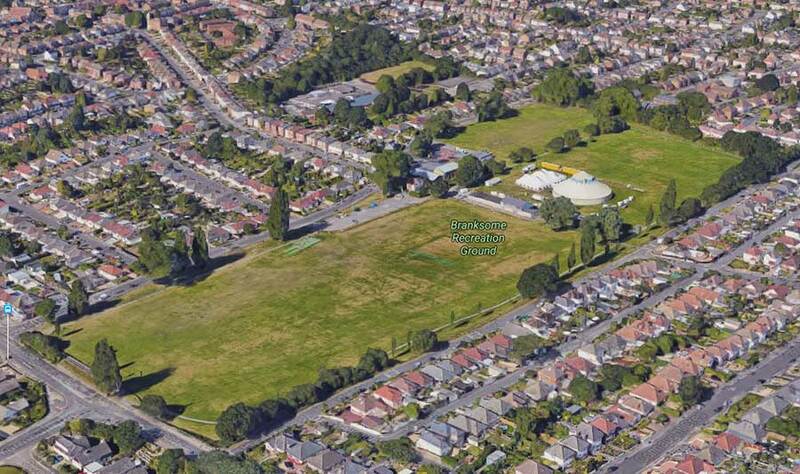 Branksome Rec (at c.90,000 sq.m.) 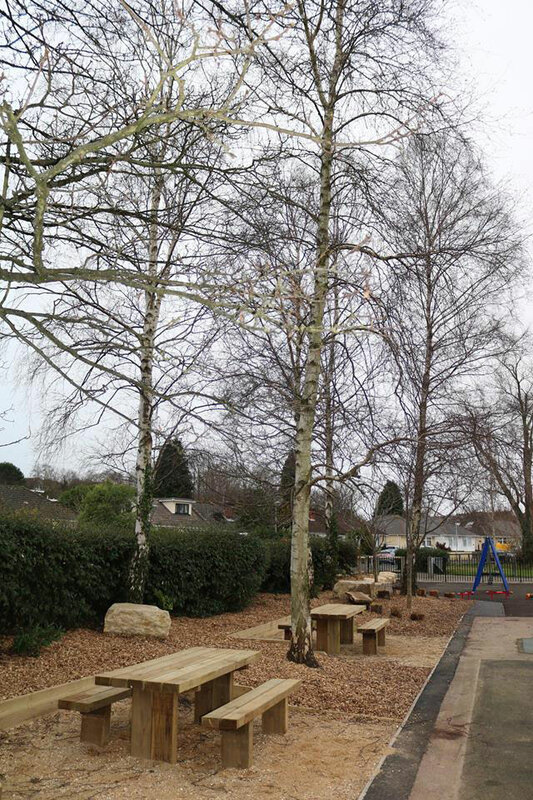 provides the only significant public open space for the residents of East Poole. 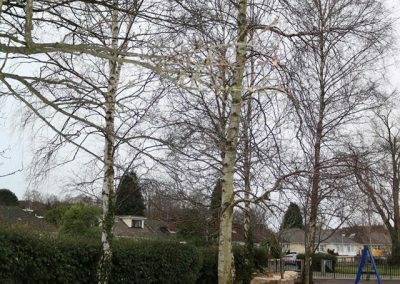 Located in Branksome West, the smallest and most densely populated ward in Poole, it also serves the surrounding wards of Alderney, Branksome East and Newtown. 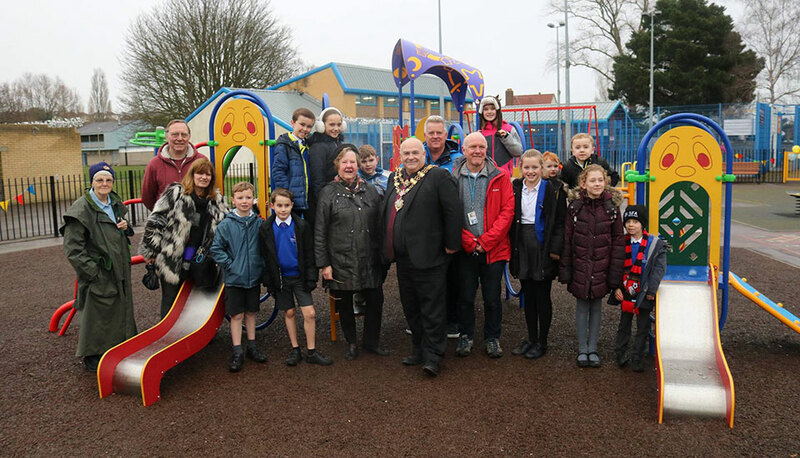 In reaching these locations, the project will benefit approximately 38,000 local residents of all ages, interests and abilities, allowing all to enjoy the outdoor space and become more physically active. The project will also create opportunities for volunteering. 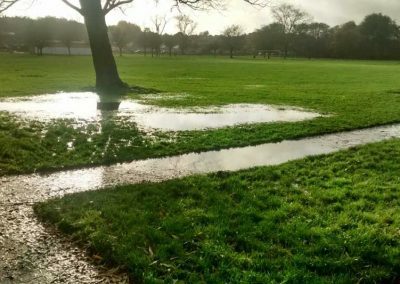 Paths become impassable; large sections are flooded for weeks at a time. 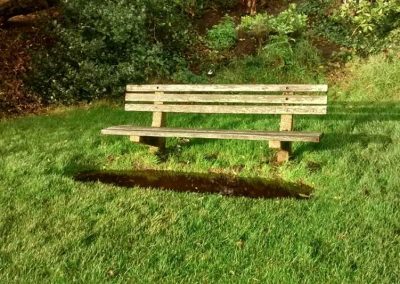 The surrounding ground becomes saturated so there is no way of passing without getting feet wet. 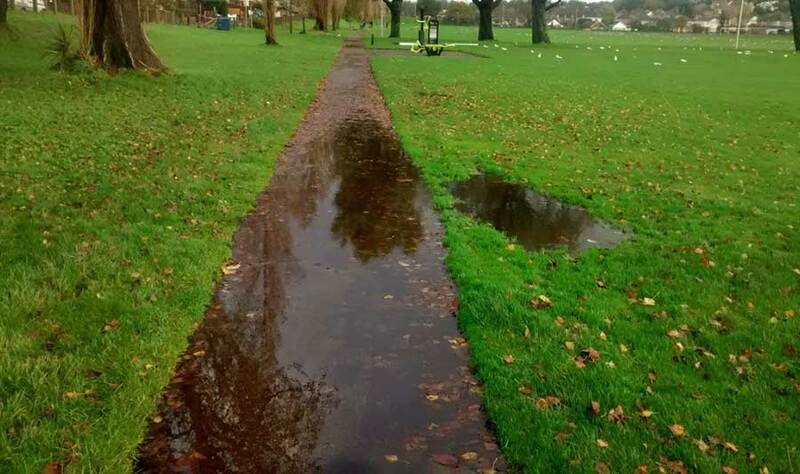 The paths are also too narrow for people to pass each other easily if they are walking with buggies or bikes. 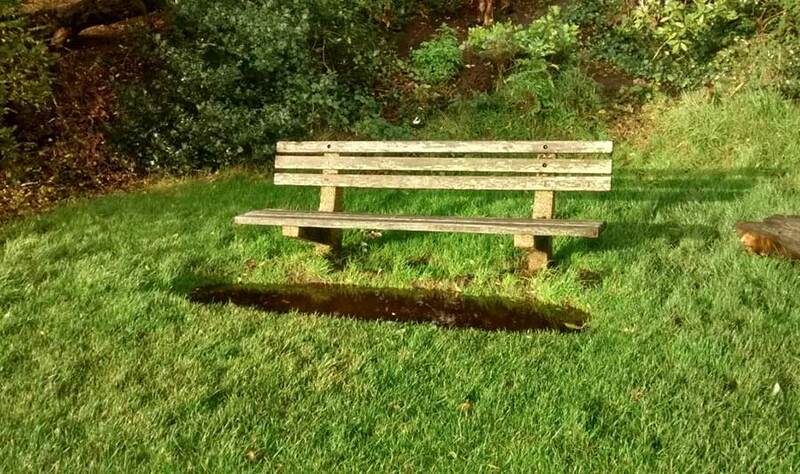 There are very few benches for the relative size of the open space and those that there are have outlasted their predicted life span. 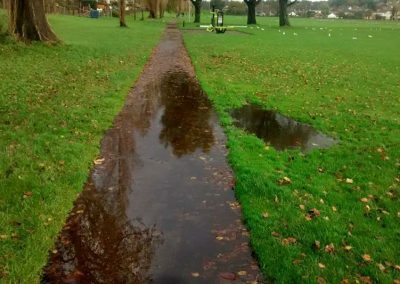 Poor location, lack of proximity to paths and pooling water make the current ones unusable by most and inaccessible to all. 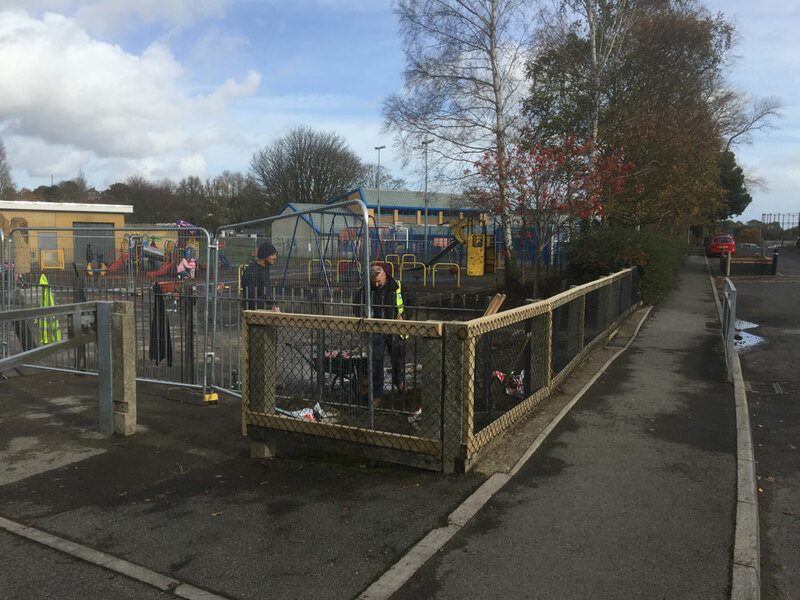 The mesh of the perimeter fence is failing and regularly needs repairing with cable ties. 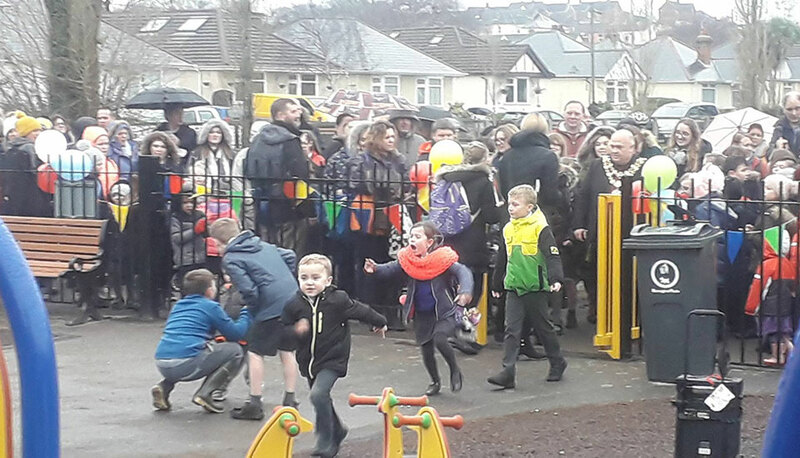 In some places dogs and children are able to run on to busy roads without obstruction. 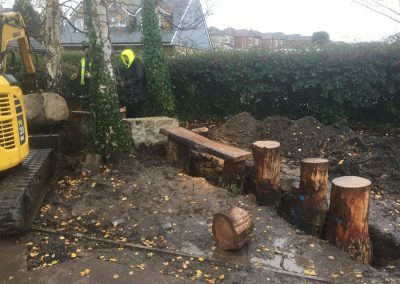 The wooden posts and crosspieces are beginning to decay and break away. 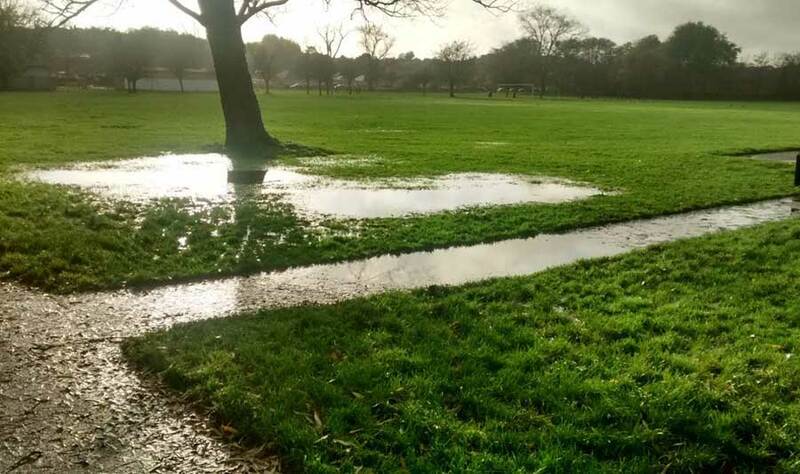 The current play facilities at Branksome Rec are neither laid out to the best advantage nor fit for purpose. 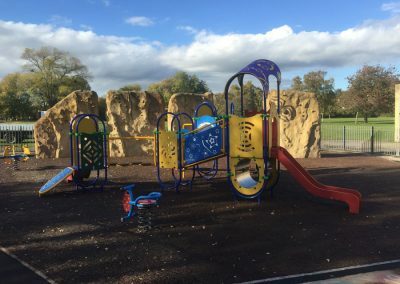 The playground is too small with old and unsuitable equipment that fails to cater for the full age range and ability of users. 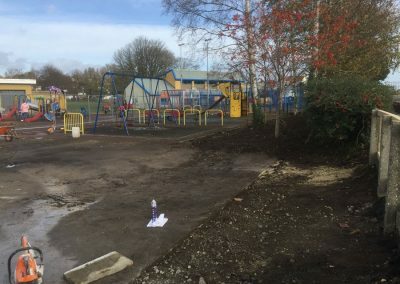 The area around and between the playground and community centre is unwelcoming, with unnecessary fencing and poor quality surfacing. 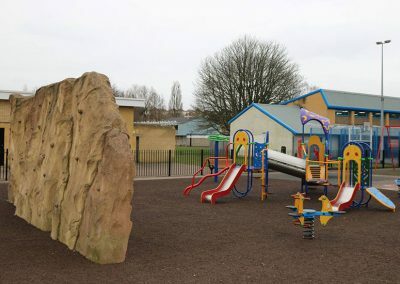 There is no direct route into the community centre from the playground which means children must go out on to the road to access the toilets and café located there. 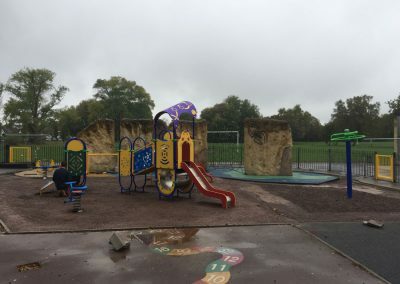 The centre currently feels very separate to the park. 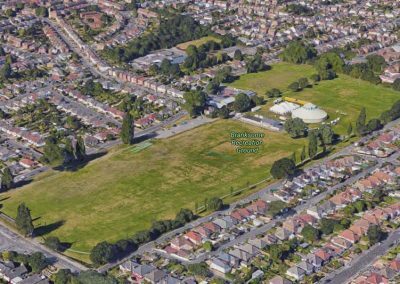 In addressing these failings we would create a larger, more open, attractive and user friendly area incorporating all the available facilities, thus drawing the community centre into the heart of the park. 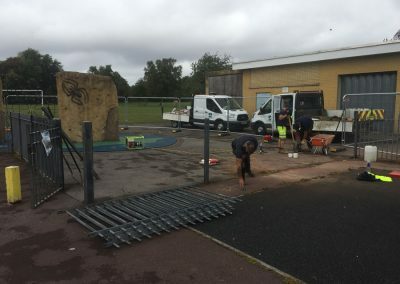 The ultimate aim is to provide a well functioning community hub which, with additional volunteering opportunities, will encourage local residents to become involved and develop a sense of ownership of the whole space.